In many regions of North America, the end of summer is marked by the exuberant colours of trees and shrubs in autumn foliage. 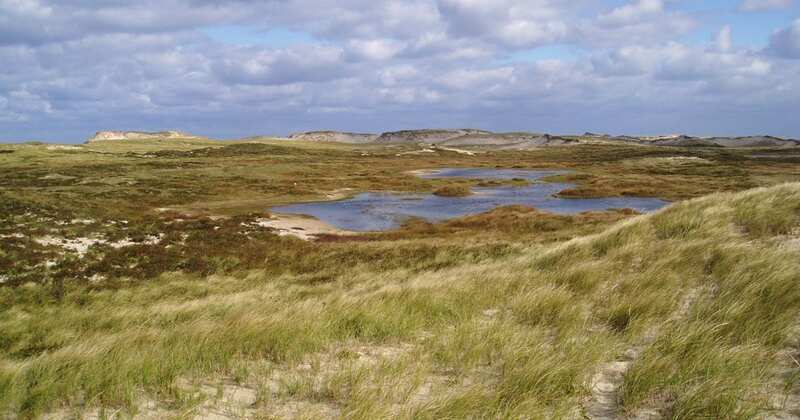 There is a well-known tree on Sable Island, a very small Scots Pine. This solitary pine, located near a freshwater pond not far from the Station, is over 60 years old, but little more than a metre in height. Being a pine, its leaves do not colour-up and drop to the ground every autumn. 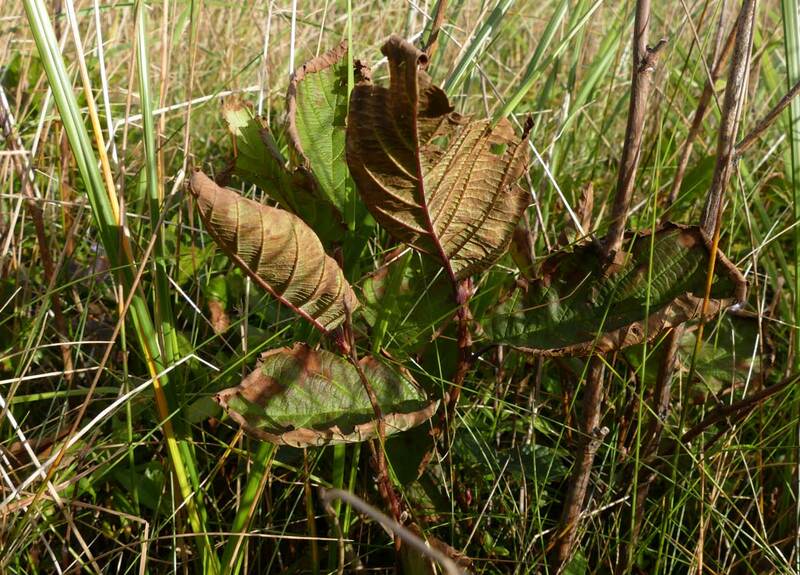 There are also a couple of tiny alders hiding in the shelter of marram grass. Barely 50 cm high, these trees produce a few dozen leaves each summer but they are soon made raggedy by wind and wind-blown sand. One of the two shy alders found in a sheltered area not far from Lone Pine, Sable Island. However, a landscape does not need woodlands to glow with fall colours. 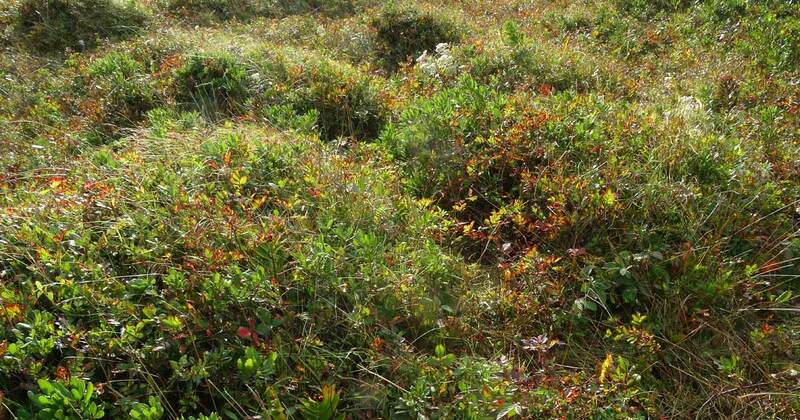 During September and October, the vegetated terrain of Sable Island becomes a tapestry of pale yellow, tan, amber, buffy, sienna, orange, red and purple, with the greens of juniper and crowberry woven throughout. The island’s fall colours are often enhanced by the winds of tropical storms, and sometimes hurricanes. During such storms, foliage on the windward sides of shrubs is sandblasted and browned as high winds sweep across the island carrying sand from the beach and inland blowouts. 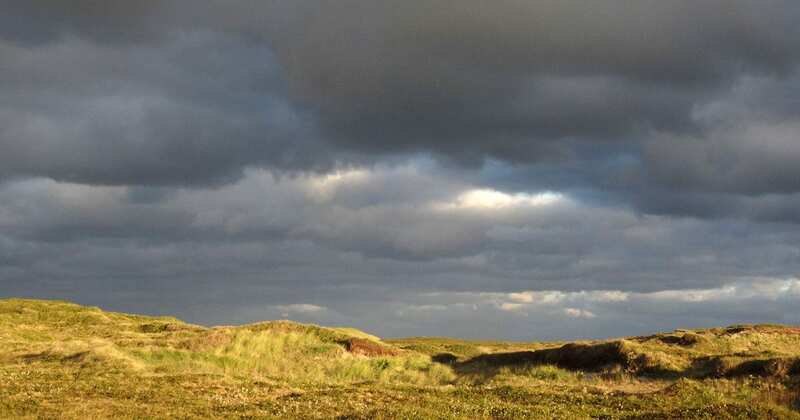 When the storms pass, the landscape is richer than ever in complexion and detail. Late-season flowers such as goldenrod and aster, the bright reds of berries, and the blues and greys of floodwaters and big clouds make for a season energized with colour and pattern. The No2 Ponds area, a view looking towards the northeast. 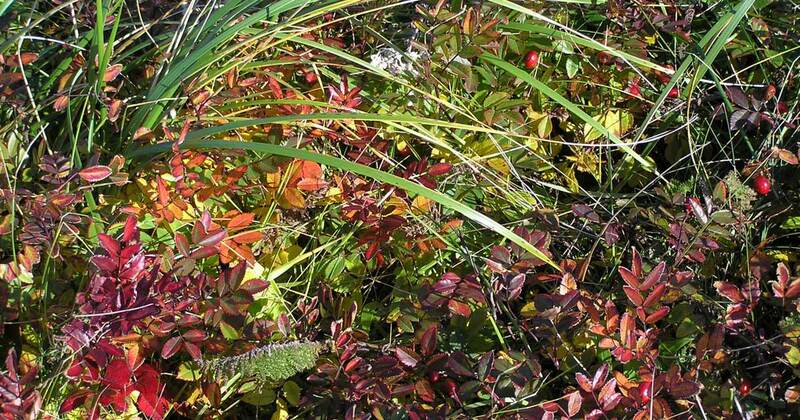 By late September, the tones and hues of autumn—washes of yellow, rufous and brown—have begun to colour the landscape. American marram grass takes on a sandy-golden colour, especially when it catches the late afternoon sunshine. 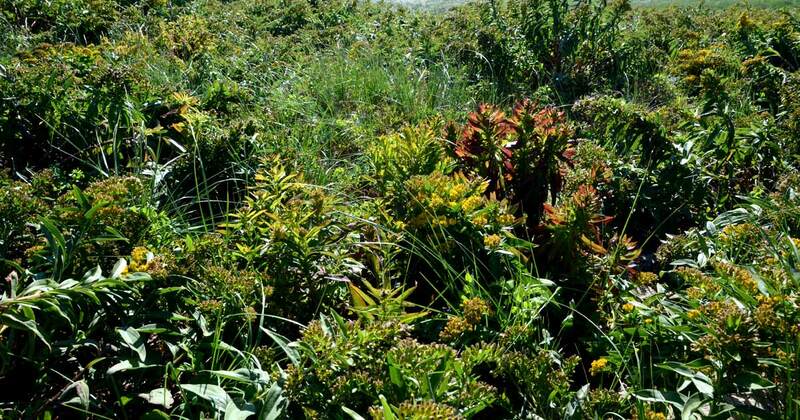 In a thick and tangled stand of beach pea and marram, the pea leaves curl and turn brown. Seaside goldenrod flowers in late summer and early fall. 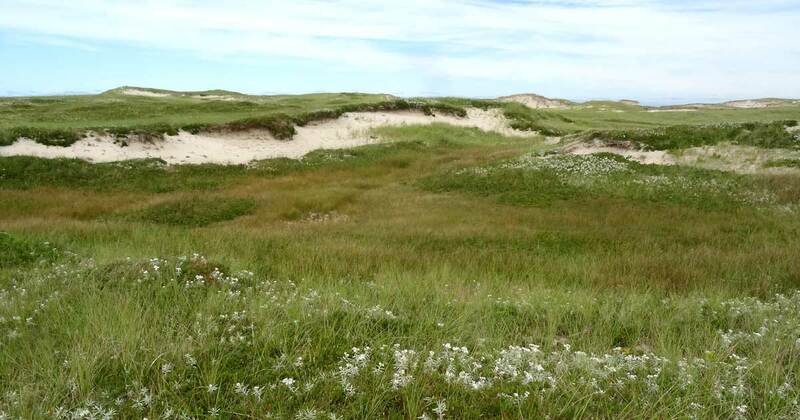 It is abundant on Sable Island and is an important food plant for bees. 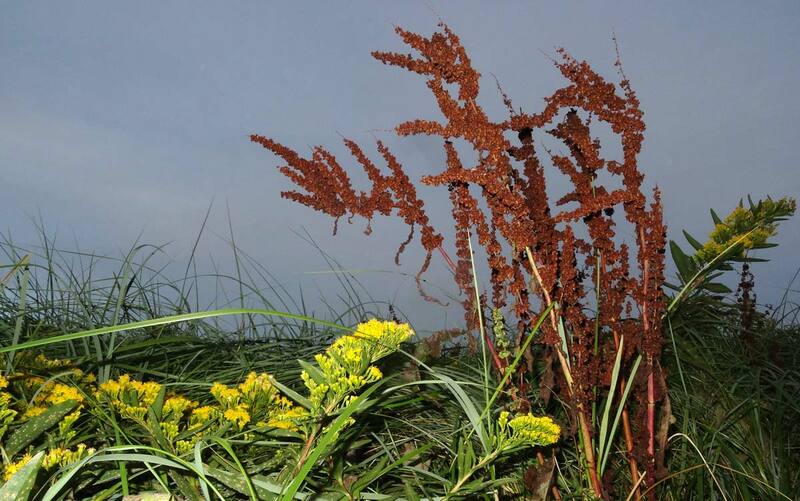 Rumex plants, tall amongst marram and goldenrod, are clustered with seeds that have turned from pale green to reddish brown. 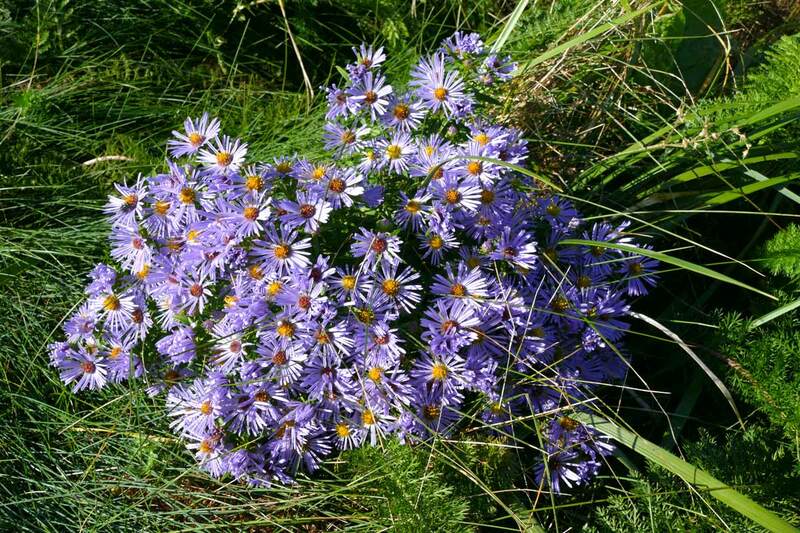 Like goldenrod, New York aster flowers in late summer and fall, and provides pollen and nectar for bees. 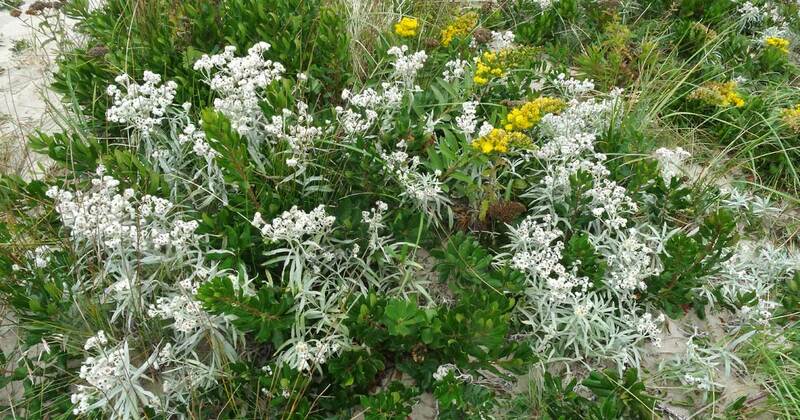 Pearly everlasting growing amongst bayberry, goldenrod and marram grass. 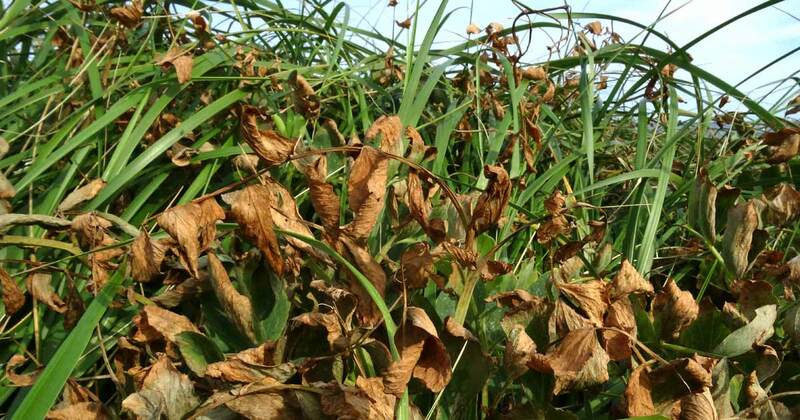 Pearly is also a forage plant for bees. 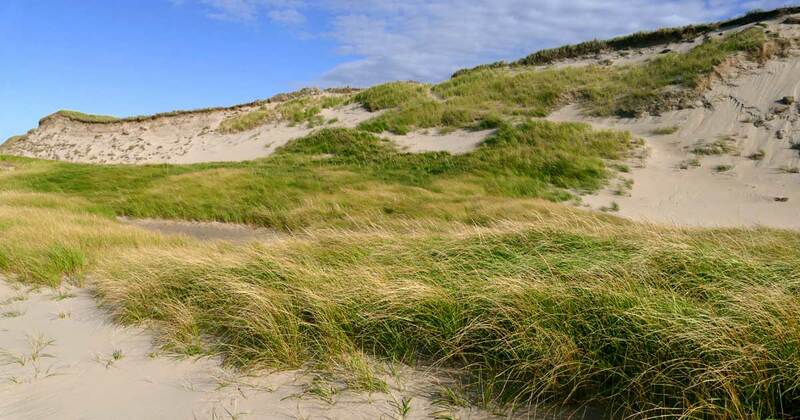 A dense growth of seaside goldenrod and marram grass on the West Spit. 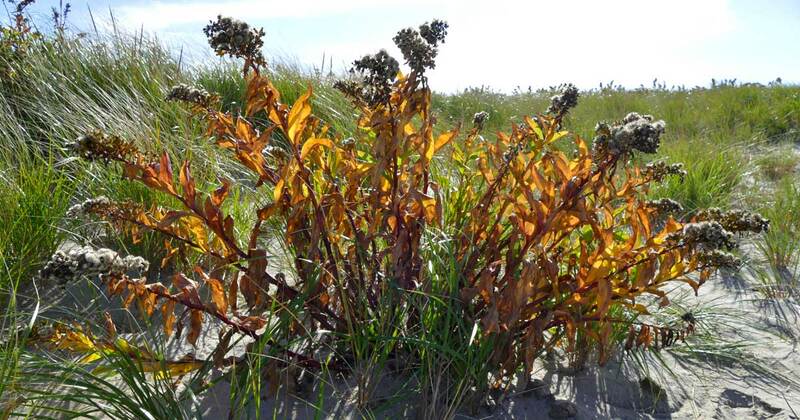 Seaside goldenrod showing some fall colour edging its green leaves, and a few spots of rust. 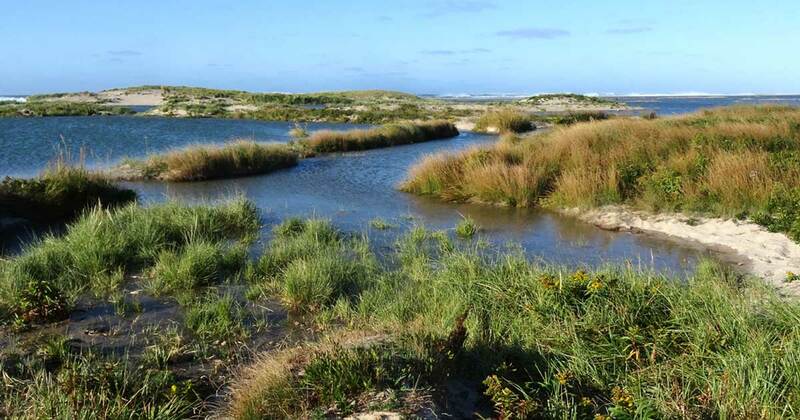 Inland, in a dune slack (a low, moist area), juncus plants begin to show a change in colour before the surrounding grasses. 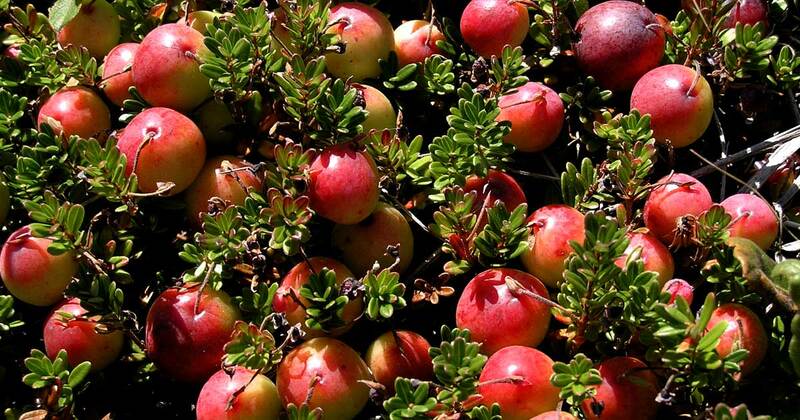 Ripening cranberries are abundant in the many moist and sheltered dune slacks on Sable Island. 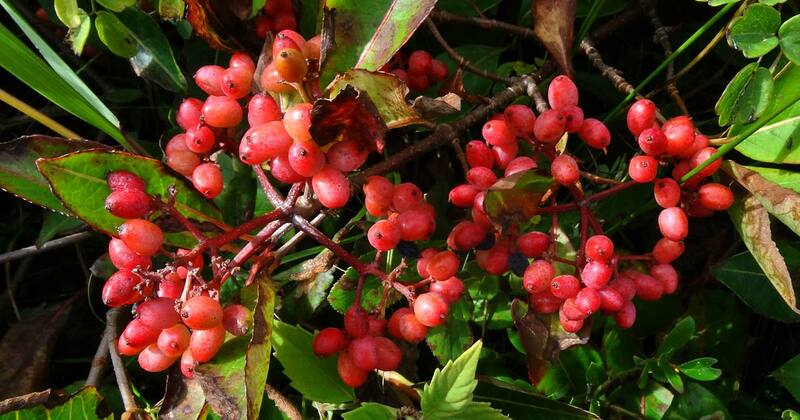 The inland communities of shrubs and herbs—bayberry, blueberry, strawberry, blackberry, wild rose, starry false Solomon’s-seal, aster and meadowrue—gleam with changing colours amongst the green. 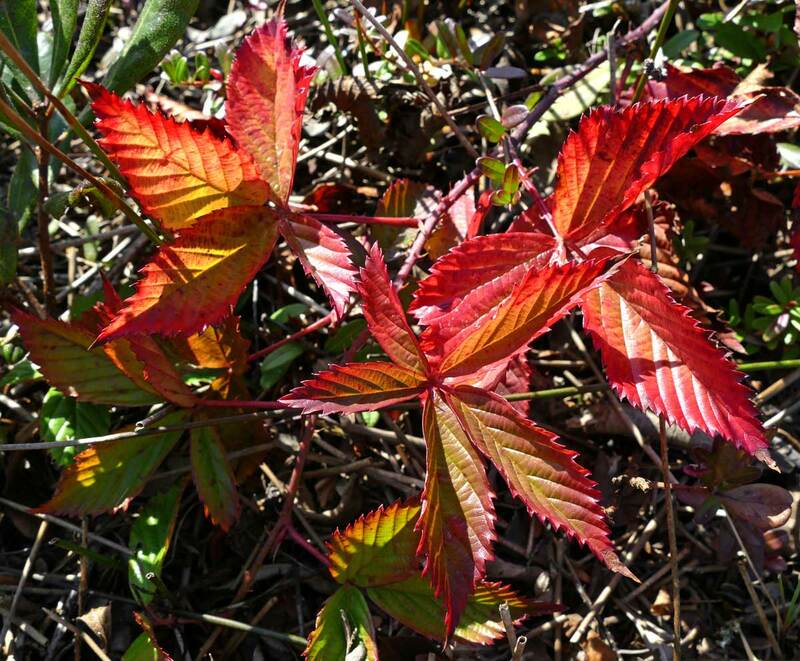 In a single patch, the leaves of wild rose show colours ranging from pale yellow and orange, to scarlet and almost purple. 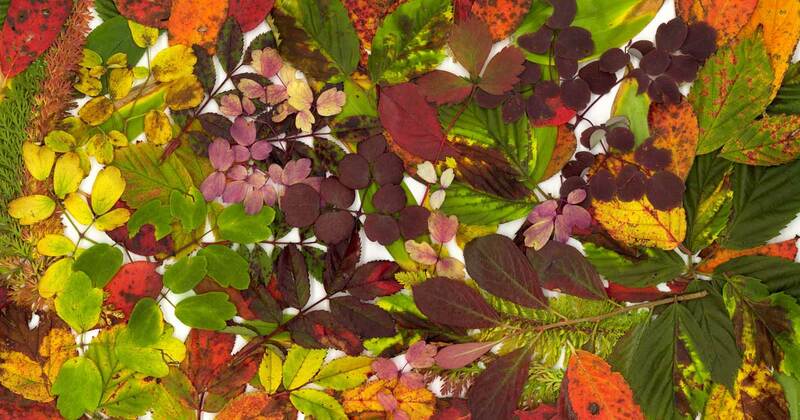 Leaves of wild rose. 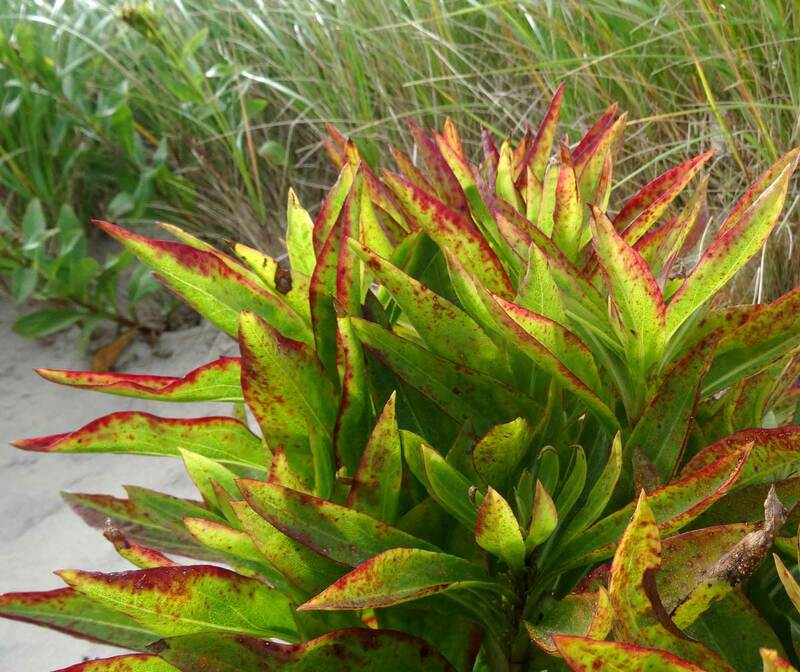 This species is found in most of the island’s plant communities. 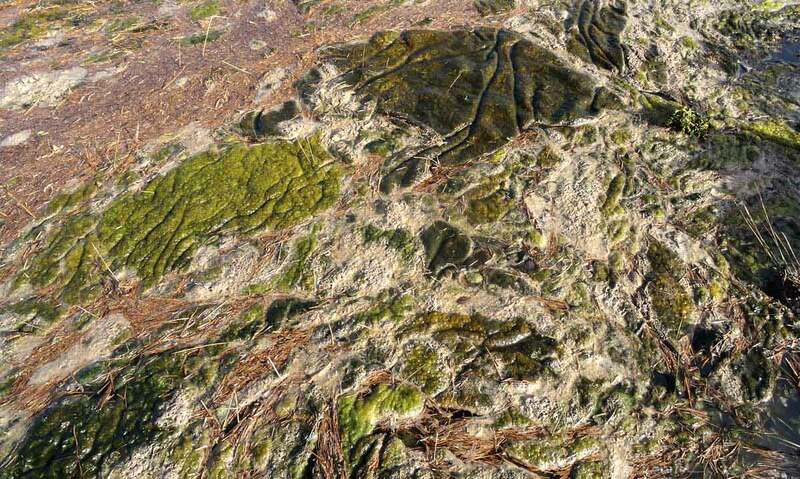 Creeping juniper is one of two juniper species found on Sable Island. 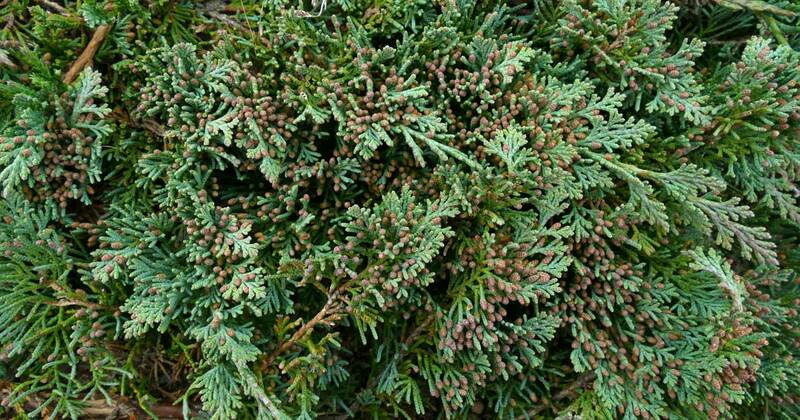 Both of these evergreens are abundant in relatively sheltered inland heath areas. 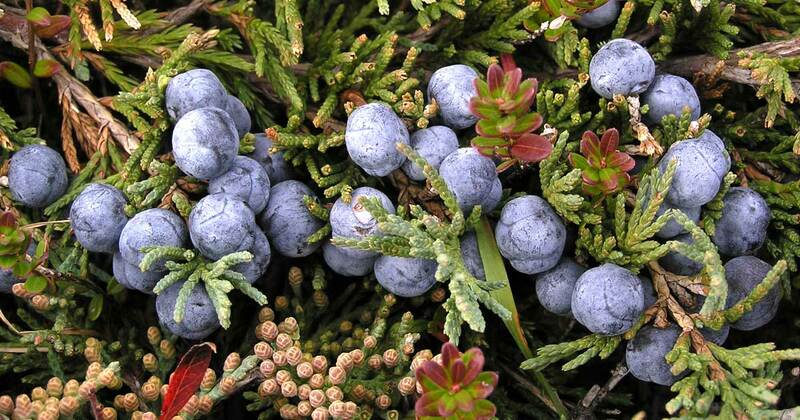 The ripened berries (cones) of creeping juniper. Berries of wild raisin will ripen to a dark blue colour. 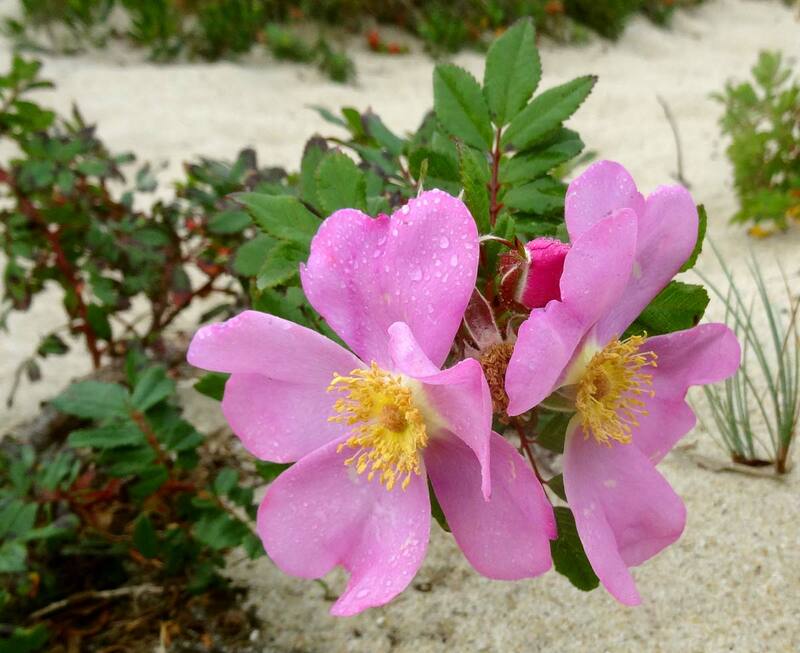 Wild rose growing amongst lichen-covered whale bones has produced a bounty of red fruit—rose hips. 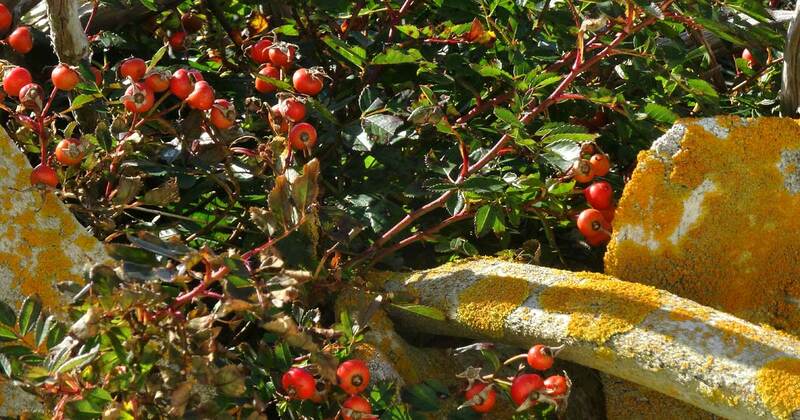 Although numbers of rose hips slowly diminish as they are eaten by birds and horses, the fruit provide points of bright colour throughout winter and early spring. After an early October storm, billows of spray blown off cresting waves along the south beach show a hint of rainbow colours. 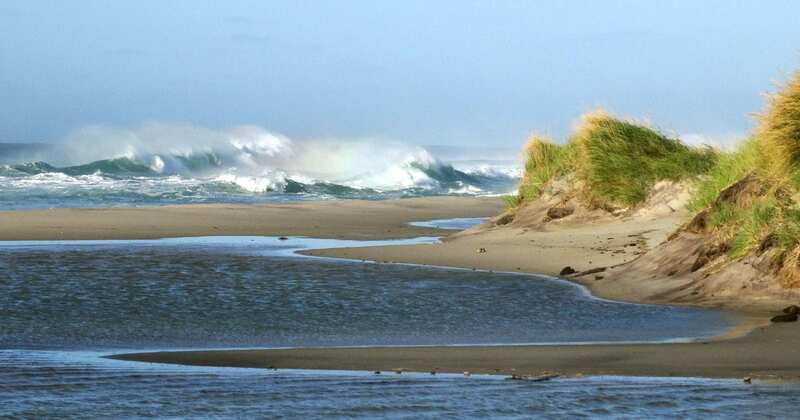 Storm waves wash over the berm and flood into low areas along the beach. With the greater number of tropical storms during late summer and fall, there is often far more blue in Sable’s autumn palette. 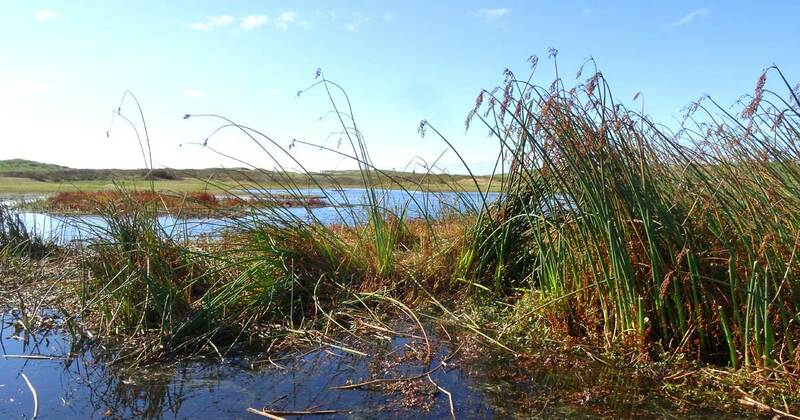 Where floodwater accumulates in pools, the winds blow plant fragments, debris, and spume into mats. In what’s left of Lily Pond North, clots of sea foam, algae, and bits of juncus stems, form soggy mosaics of colour on the water’s surface. 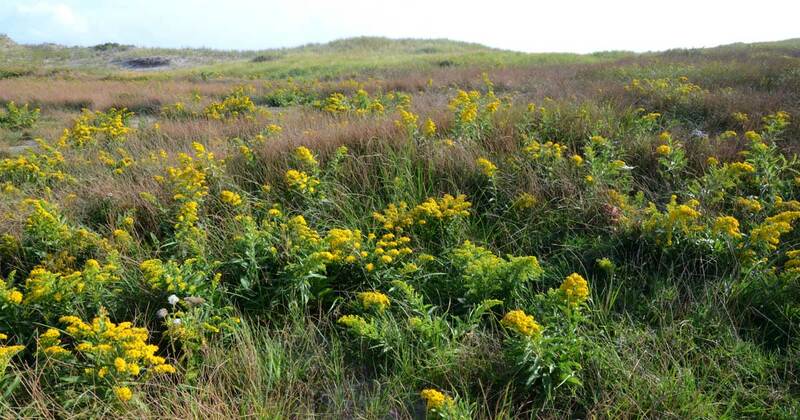 Eventually the foliage of seaside goldenrod becomes even more golden than its flowers had been. 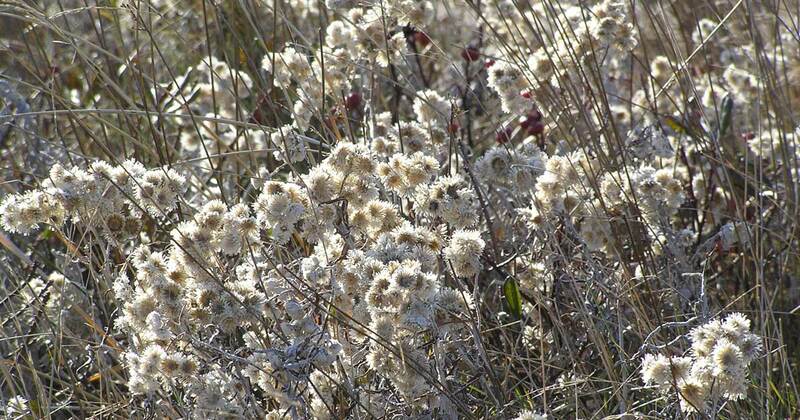 The many clusters of silvery-white flower heads of pearly everlasting are bright in the low angle sunshine. 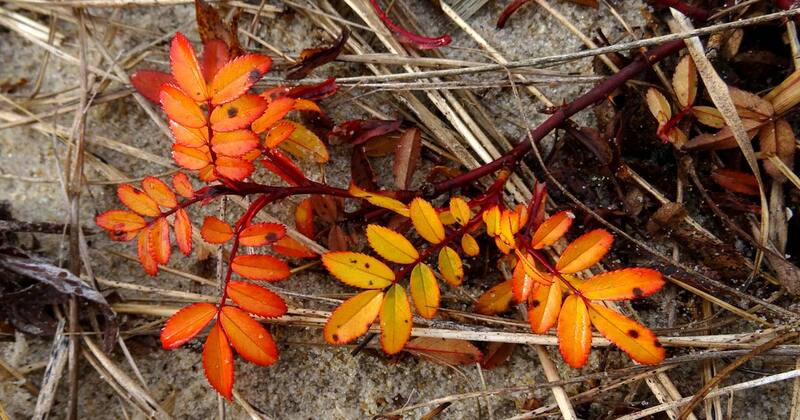 Leaves of wild rose—fiery colours during a chilly, wet day. 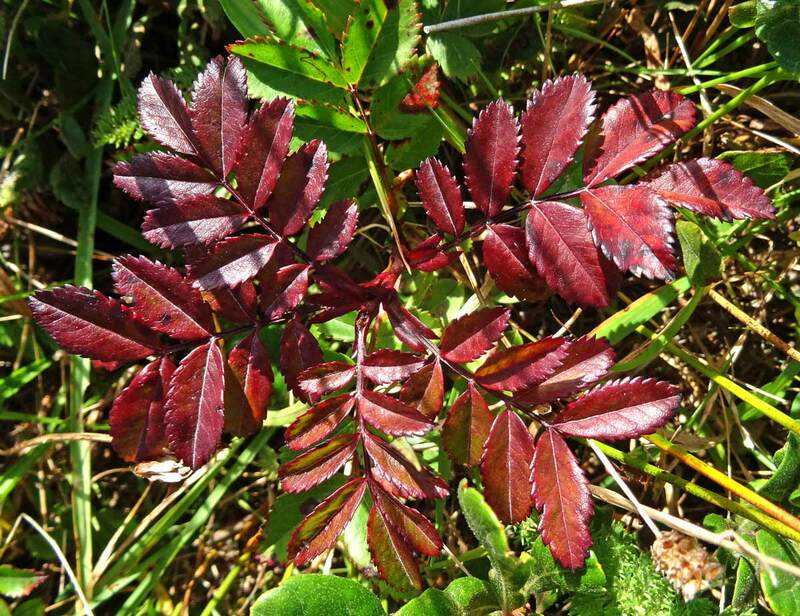 Although most of the wild rose has produced rose hips and a riot of fall leaf colours, a few plants are still flowering in mid-autumn. 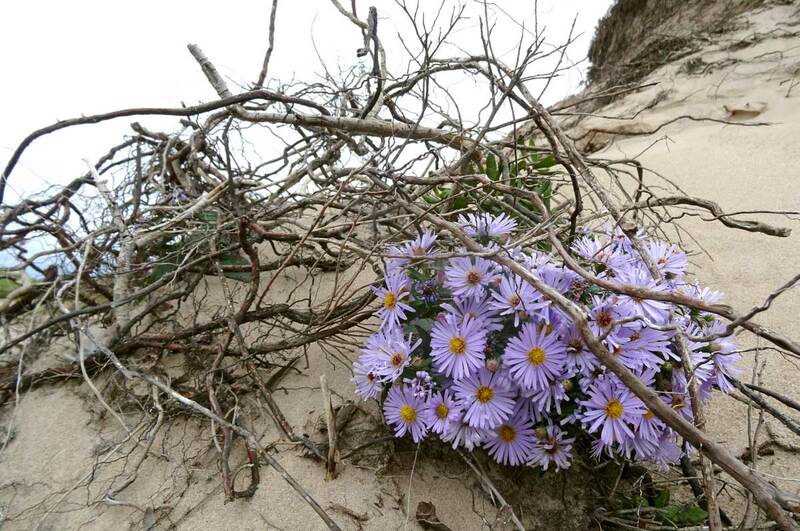 A solitary clump of aster, anchored in a tangle of old roots and twigs, manages to flower where it grows in sliding sand on the steep face of an eroding dune. 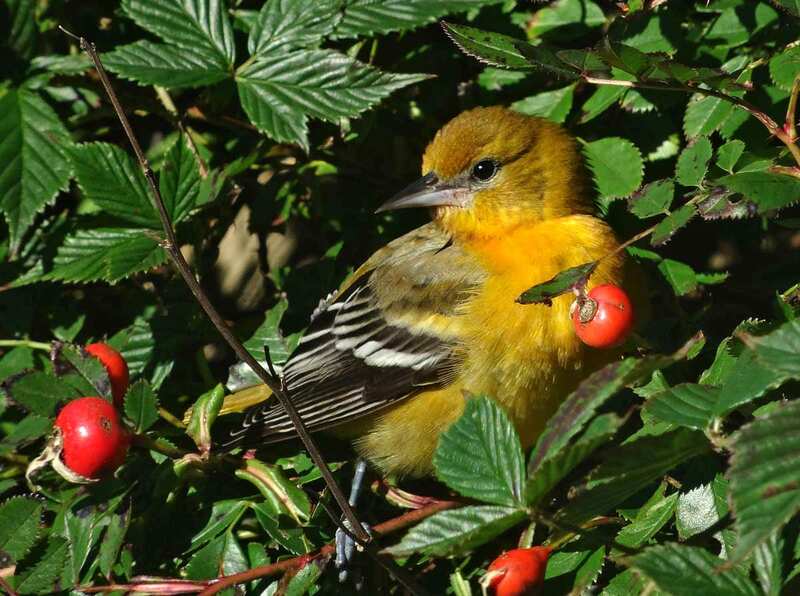 A Baltimore Oriole, perched in the foliage of a mixed stand of wild rose and blackberry, occasionally samples the rose hips. Orioles commonly turn up on Sable Island in the fall. Under looming dark skies and in gusty winds, rich tones glow in bursts of sunlight through breaks in heavy cloud cover. In the spirit of the island’s display of fall colours, Ipswich sparrows wear plastic bands, combinations of yellow, orange, red, green, blue, black and white. The sparrows were banded in early September as part of a long-term study of this species. 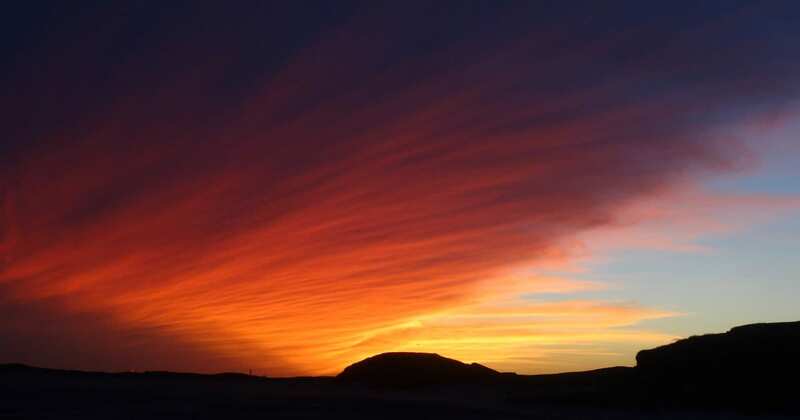 A Sable Island sunset—a view from a dune near the old aframe.